A simple explanation of the technology used in OLED TVs (and how it compares to LED-backlit LCD TVs). Okay, that’s a trick headline. There’s no comparison between OLED TVs and LED TVs because there’s really no such thing as what has been marketed as an LED TV. That’s just another case of the TV industry using misleading nomenclature to confuse consumers. What TV manufacturers have been advertising as LED TVS are just LCD TVs that use LEDs for backlighting. Where an LCD TV produces color by shining the light produced by LEDs through color filters, an OLED TV uses LEDs that generate both light and color. The term organic comes from the materials used being carbon- and not silicon-based, which sounds touchy-feely, but doesn’t put them in the same class as lettuce or free-range chicken. 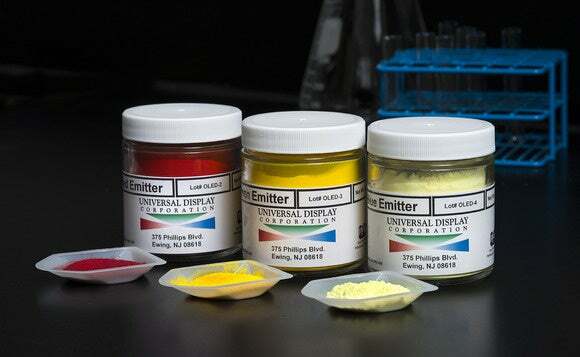 OLED's magic comes from electroluminescence. Basically, an electrical charge stimulates an electroluminescent substance that produces the desired color: red, green, or blue. 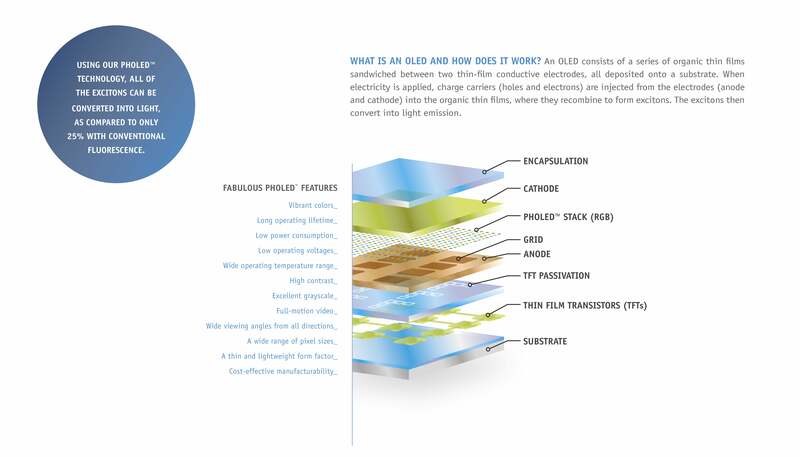 The OLED itself is more or less a glass sandwich with a cathode and an anode (negative and positive terminals), plus two organic layers that transport electrons, and a middle layer that emits light. The basic structure of an OLED. Because the OLEDs and the micro-circuitry matrix driving them are really all that’s there, an OLED display can be amazingly thin: LG showed an OLED TV at CES that was just 0.1 inches thick. And when OLEDs are applied to a flexible substrate, you can bend them, shape them, and even roll them up; well, this has been publicly demonstrated, but the flexible thing remains an elusive commercial entity. 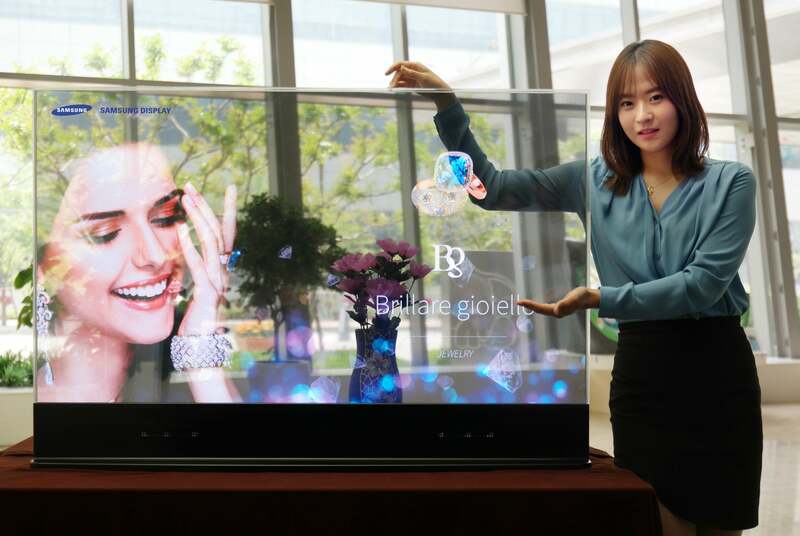 Transparent OLED panels have also been publicly shown; again, cool but not quite ready for school. Though the OLEDs in TVs are tiny, an OLED doesn’t have to be. You could make an entire wall from a single OLED, and there are lighting applications where a similar approach is not only feasible, but being done. A 55-inch transparent OLED screen. Aside from super thin and flexible, the fuss over OLED TVs is stirred by their impressive picture quality. OLEDs turn off and don’t leak light as LCDs do, so you get a genuine black which makes for excellent contrast ratios. It’s a much more luxurious picture than your average LED-backlit LCD TV. I think of it as cashmere versus common wool. Note, however, that I said average. New technologies such as quantum dots (aka nanocrystals) have improved the color in high-end LCD TVs. And HDR (high dynamic range), or increased contrast ratio via super brightness, is also making its presence known (though at the expense of increased power consumption). Speaking of which, OLEDs exhibit relatively low power consumption, though not appreciably better than what you’ll see with high-efficiency LED LCD TVs at a reasonable brightness level. Another strength of OLED TVs is their almost infinite viewing angle. Cheaper non-IPS (In-Plane Switching) LCD displays require that you sit relatively centered or experience color shifting. OLEDs are visible nearly all the way to 90 degrees. Well, first off there’s what will be obvious to what anyone who’s shopped OLED: The price tags. OLED TVs are really, really expensive. Secondly, not everyone is in love with the OLED picture, as rich and velvety as it is. I'm pretty sure they've never seen Sony's pro reference OLEDs which are spectacular, and it’s not fair to judge an entire technology based on one vendor’s efforts (that vendor being LG), but that’s where we stand. Keep that in mind as you read on. I’ve heard complaints that details don’t appear as sharp, though I think of the effect more as smooth. I’ve also heard complaints about motion blur. All I can tell you about that is that if there is any, it’s been imperceptible to me when I play good-quality UHD content. Upscaling of 1080-resolution content and handling of 24/25 fps content is not necessarily LG’s strong suit, so that could be the source of the complaints. 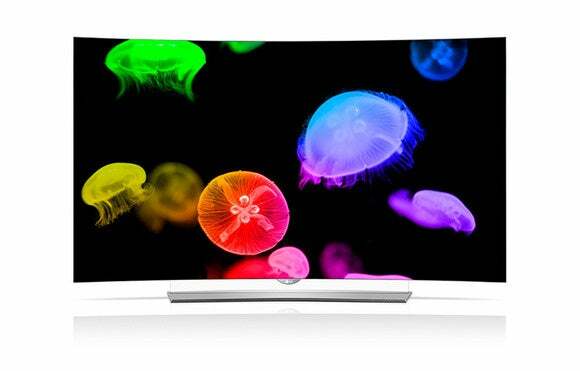 Samsung's JS9100 curved SUHD TV uses quantum dots to increase color intensity, acuity, and gamut. I have, however, seen motion blur on other OLED displays. 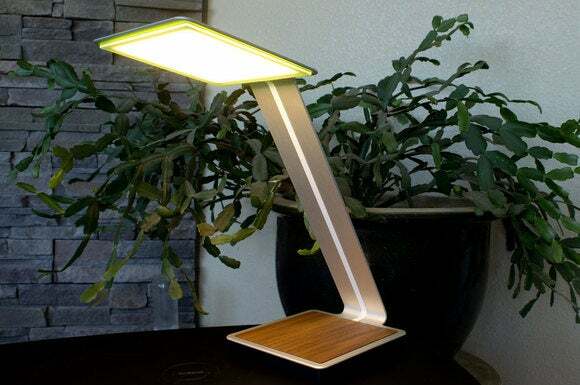 The blur has nothing to do with the OLEDs, which can turn on and off very quickly, but the sample-and-hold methodology (light up and stay lit until otherwise required) used to smooth action. The way around this is to strobe the OLEDs; i.e., turn them off before every screen redraw, or even well before. But not every OLED display does this. OLEDs aren't just for TVs. Check out our hands-on review of the Aerelight A1 OLED-powered desk lamp. Then there’s a longevity issue. The electroluminescent materials used in OLEDs have a fixed lifespan. This is particularly true of blue OLEDs, which must be compensated for by using a larger volume of the material and varying voltage over the life of the TV. My contact at Universal Display Corporation claimed 50,000 hours for its OLEDs, but I’ve more often heard 20,000 hours or less. I was unable to obtain any hard information on decay in a normal environment. When I do, I’ll update this. Assuming the latter, less optimistic 20,000 hour figure, you’re talking about 2.25 years of 24/7 viewing, or about 11 years at the 5 hours per day the Nielsen Corporation says that TV viewers average. Eleven years isn’t very long, especially when compared to the lifespan of older CRT TVs, so you might not want OLED if you plan on running your display in a kiosk or in a point-of-sale system. But for the average person (not as defined by Nielsen) buying a TV for home use, longevity is probably not an issue. OLEDs don’t have to be small, and they have applications other than TVs. The Aerelight A1 desk lamp uses a single 5.0- by 5.0-inch OLED. Why are OLED TVs so pricey? The application of organic materials to a substrate required to build an OLED TV has thus far proven problematic in larger size panels. Low yields at the factory mean high prices at retail. The problem is so vexing that, as I mentioned, only LG is offering consumer OLED TVs at the moment (Panasonic announced last fall that its top-shelf 65-inch Viera TX-65CZ950 would be based on an OLED panel—manufactured by LG). Indeed, the aforementioned Sony professional RGB OLED reference displays (LG uses WRGB panels with a white element) used by movie production houses cost nearly $1000 per inch and top out at 30 inches--all because of ridiculously low yields for pure RGB panels. Yup. $30,000. OLED expense and affordable LCD-enhancement technologies coming down the pike have probably steered vendors in away from OLED as well. OLED TVs have a great picture, sip parsimoniously from the AC, and are super easy to move about or hang from a wall. But those prices! So let’s forget money for a second because it weighs differently in the equation for everyone. Head to head, every OLED TV I’ve seen beats the pants off of the average LED-backlit LCD in terms of color, richness, and smooth action. High-end LED-backlit LCD TVs employing quantum dots or other color enhancement technologies, on the other hand, give OLED a run for its money—especially in terms of color gamut and accuracy—and they're generally a bit brighter to boot. But I enjoy OLED viewing as much as I do with the quantum-dot products. And, as I always say, if the movie or game is good enough, a 9-inch monochrome display will cut it. So, in the end, I can only tell you to buy the type of TV you prefer. After, of course, you evaluate the TVs you’re interested in using our most recent buyers' guide. Note: This article was amended 2/11/2016 to include information about Sony, WRGB, and RGB.